Lisa Perry's Fall/Winter 2014 presentation was inspired by dramatic volume and shape. 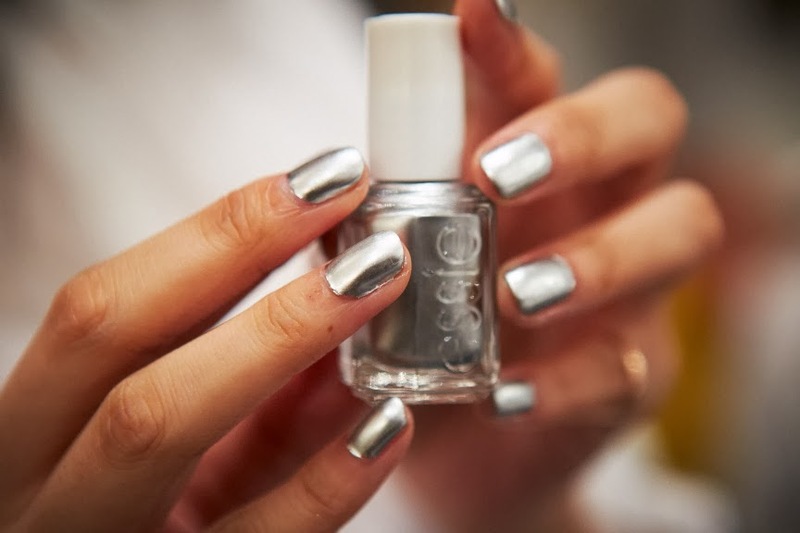 To complement the brightly colored garments and textured metallic fabrics featured throughout the collection, Casey herman for essie created a high-shine silver nail look. Once the base coat dries, apply one coat of No Place Like Chrome. Lastly, apply Quick-e Drying Drops to seal in color and enhance shine. For up to the minute coverage, check out: #essieNYFW for all the backstage happenings and #essielook for their designer nail looks!